Is Your Education Worth it? Poster has a large coiled green rattlesnake in the center. In the middle of the coil are small human figure outlines. On the snake's body is "expansion constricts people." 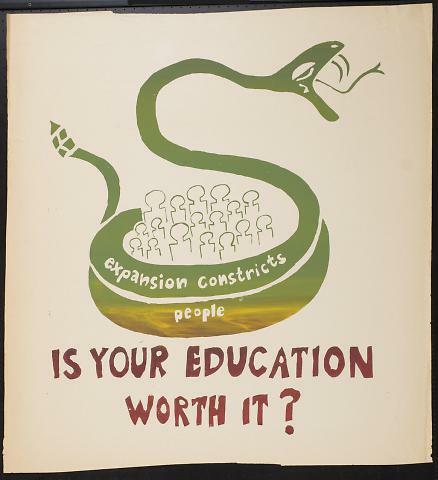 Below the snake is "Is Your Education Worth it?"